Here at InvoiceBerry, we have time and time again stressed the importance of finances. It’s the reason why most startups fail. One of, if not, the most important skill you can have a small business owner, and what you should focus on if you want to scale up your business. If you ever want to make it far as a business and break your first profit, you need to be always carefully looking at your financial statements to see if you’re on the right track. There are a lot of important questions you need to ask yourself and think about how your every step will impact your finances as a whole. All this to say, finances are essential in all fields of your business. With that said, this isn’t exactly easy for most people or businesses. But don’t worry, there are a lot of shortcuts along the way and we at InvoiceBerry want to make sure you know how to utilize them in the best way possible. From tips on how to use accounting software to boosting your business and providing you with tons of important financial definitions, we want to make sure you’re on top of your financial game. So, while it may be a bumpy journey, in this guide we’ll be looking at some of the most common financial mistakes SMB owners make and how you can avoid them. Let’s say you’re just starting out as a startup. There’s so much to do. Where do you begin first? The business plan! That’s right. If you’re not sure what you’re getting yourself into, it’s best to take your time and think about your business as a whole. A business plan is more than just a paper with a lot of number crunching. Essentially, it’s your business in written form. A business plan is crucial for getting your business on the road. Before you launch, you need to take your time and plan ahead. What’s your value proposition? How will you be different and stand out? How are you going to fund your operations? You also need to see the bigger picture of your business in terms of what you’re trying to accomplish. These and more, are all important pieces of information that go in your business plan. There’s a common myth that you can get away with not having a proper business plan. Maybe you’ll just wing it and figure it out on the go. After all, you learn as you go, right? Well, that approach may work if you’re lucky. Really lucky. Nine times out of ten, you need a business plan. It’s better to sit down, take your time and write a great business plan – it’ll come in handy in the future in almost all aspects of your business. 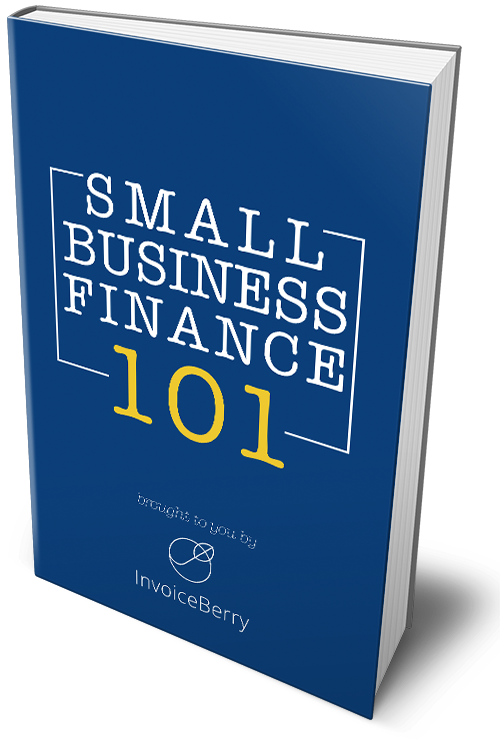 Fortunately for you, InvoiceBerry also offers a number of high quality and free business plan templates to help you get started right away. Once you’ve developed a business plan and set clear goals you want to achieve, the next step is managing your money and keeping track of where it goes. A sales forecast and budget can guide you in your business, acting as a roadmap for future decisions. But when it comes to small businesses, many of them have a limited time, and creating a detailed budget isn’t usually a priority. Likewise, they don’t often keep track of their finances and expenses as they go through their spendings. First of all, if you want to continue operating in the long term, it’s crucial you know what your monthly expenses consist of (wages, payments, depreciation, etc.) and how much of them you spend. Keeping track of your expenses allows you to clearly see where your money goes, tells you what to prioritize and helps you plan for your financial future (among many other things). But once you start keeping track of your monthly expenses, if you truly want to get ahead, you should be tracking some other important financial indicators, in addition to your expenses. Depending on the KPI, financial indicators can help you in many different ways. So, you have to first figure out what you’re looking for and then track the indicator accordingly. It’s hard to generalize KPIs, since each of them has a different intent. But if you set clear goals and want to know how to get there – these indicators can help you in your journey. Generating a steady cash flow is directly related to your business being healthy and operating smoothly. When the income cash stops coming in, that’s when you know you’re in danger. Without positive cash flow, your business is essentially at a dead end. If you want to get a proper overview of your business’s health – start with your cash flow statement. It gives you a sense of survival in the short term and you can see if you’ll be able to cover your fixed cost obligations and expenses. Having a close eye on your cash-flow statement can help you track revenue inflow and outflows and expenses and know what to expect in the future. Your cash flow statement can tell you how you can advance based on your current financial situation. By doing this, ideally, you should also get a general sense of what your monthly budget and expenses are like. This, in turn, can help you anticipate when you’ll have more money going out than in each month, and plan ahead for those months. And as always, it’s important to monitor your finances regularly, as taking your eyes off your finances can cause unexpected problems to arise. It’s best to plan ahead and know what to expect, based on data and your finances, than to try and fix those problems once they arise. Understanding your cash flow also has a substantial effect on other elements of your business too. Underestimating your financial statements is a major mistake, but you can only predict so much of your financial future, right? Your financial data and forecasts can only prepare you so much. Being a startup or an SMB usually means you have to embrace the unexpected. Because that’s the reality, things happen that you can’t expect – whether you like it or not. How you react though, that’s what matters. You never know when the next dry spell hits and your cash flow comes to a sudden halt. This could happen due to an unexpected emergency or an illness – things you can’t prepare for in most cases. So, what you can do instead is have some cash set aside for a rainy day. If you’ve prepared yourself financially, the dry spell can be prevented and in the worst case scenario – you’ll lose a few savings. Which is much better than having to take a loan or automatically going out of business. Most small businesses hardly even think about having a rainy day fund, especially when they’re not making a profit in the first place. But that’s exactly why it should be built in your budget in the first place! When it comes to your savings account – start simple. Don’t overstress it too much. Treat it as a regular expenses account and start setting aside some set of money monthly. This way, you can slowly start building out a reserve that will come in handy in the future and can potentially save your business. This has to do with your bigger budgeting picture, in terms of the costs, but it’s an important lesson to have its own spot nonetheless. The sunk cost fallacy is a concept that refers to costs that have already incurred, but cannot be recovered. In business, it’s something you already paid for (think: a one-time expense) that will hinder your rational decision-making process in the future. Essentially, it boils down to this: since you paid for it, you’re more likely to hang onto that decision and it becomes harder to abandon. Similarly, anchoring is a bias in decision-making that says we tend to rely too heavily on one trait or information. This usually comes up when you’re investing in a business venture. Let’s say you put some money in a project that didn’t go as planned. You spent a lot of time developing and perfecting it, but it’s just not gaining any traction or interest. The loss lingers in your mind and because of the emotional and monetary toll you put into it, it becomes hard to let go. So, instead of sinking more money into it, with the hopes of fixing it, you should know when to move on. It’s natural to want to preserve and fix your mistakes, but you have to know when to cut losses. You’ll save yourself a lot of frustration and even money if you decide to pursue something else more worthwhile instead of focusing on a failed project. Being efficient is about doing things the right way. Being effective is about doing the right things. Your operational activities have a direct effect on your business as a whole. So, you should ask yourself if you’re doing each task or activity the most efficient way. Are you saving time? Automating activities? Using accounting software to boost your business? There are a lot of tools and information available that can aid you in running a business. So, any shortcuts you find or any way you can get ahead – go for it. If you’re interested in taking things to the next level – consider outsourcing. If you’ve reached a point when there’s too much on your plate, virtual assistants can help make things easier in many different fields of your business. Being able to act quickly and effectively is a crucial way of enhancing your business. And hiring remote work to fill in that void of not getting enough done is a very convenient solution. All in all, running a business is very likely to be a bumpy road, but it doesn’t have to be a lonely one. To steer yourself away from making grave financial mistakes, start by monitoring the little monthly expenses and then move on up to bigger costs. As your business grows, you’ll learn many lessons along the way. And one way to learn is from your mistakes and experience. With that said though, the more mistakes you can avoid through your journey – the better. Knowing the above 6 common pitfalls can set your business on the right track. And by using a simplified accounting and an invoicing tool, you’re saving a lot of time and money.